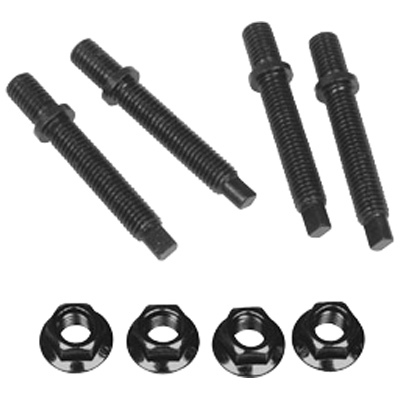 Does anyone have a good source for zinc plated flange bolts (1/4" & 5/8") None of the ACE or True Value hardware stores, Menards or Home Depot have them. I did find a couple 5/8" x 1 1/4" at Lowes but I need different lengths. I did order some from boltdepot.com after I tired of looking everywhere. Fastenal did not have them but could order them for me. Seems odd that they are so hard to find the zinc plated flange bolts. Thomas Guide is a great place to look. Link is set for Minnesota. Locally we've got a supply company "Tacoma Screw" with several outlets in the PNW. Should be something similar in your area, I'd think. MSC, used to be Manhattan Supply Company years ago. There are also flange bolts (cap screws) with serrations under the head to lock them in place. If you use these on aluminum, they will cut the surface if taken on/off repeatedly. Dave, that zinc stud will only last a few years out here in salt! Well if you go down to Gulfport Mississippi , Cornet Bolt & Screw could probably help you out. I have not bought the size you listed but have bought 5/16 & 3/8 plated flange bolts in different lengths. > out here in salt! What is "Salt"? Will last a lot longer than the regular studs, I am lucky, we have the best hardware store for miles around here in my town, Family owned and they have everything! things that the Big box stores only dream of, and the Nut and bolt section is gigantic, Being this is a race track town they stock every fastener you can think of to support the racers in need, Great resource for me, I have even found the correct pilot bushings there. How many and specifically what do you want? I have on hand about a 100 or more of whatever is needed for the engine. The original post has me confused. It says 1/4" and 5/8". I wonder if it should be 1/4" and 3/8"? Like for shrouding. It's hard to find them locally that don't have the locking serrations under the flange. Sometimes I just clean the up and paint the heads with flat or satin paint, too glossy isn't good. I drill holes in a board so the threads don't get painted. I call these flange bolts. Due to regional "edumacation" you might call them something else. You are correct it was 1/4 & 3/8. also need some to attach the fenders on my son's 49 Chevy pickup. Try Totally Stainless for stainless steel nuts and bolts of all types. 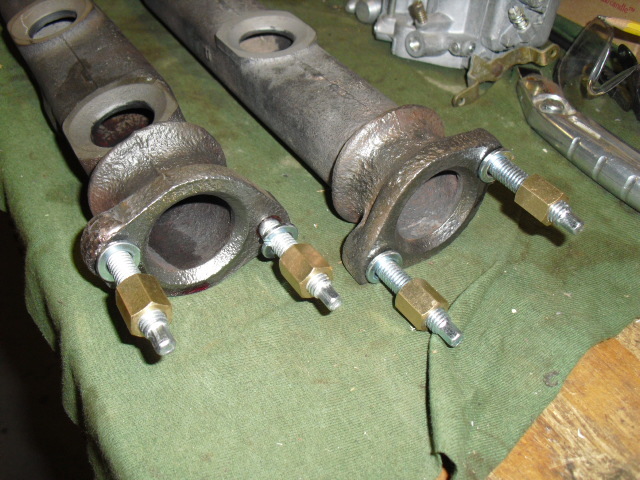 What you are looking for are Mclean Fogg "Whiz bolts". That is their Trade mark. If you will look on the head of most Flanged bolts you will find M F.
They are all grade 5. I suppose there are many knock-off now. If you Google them they should pop up in many places. Check some of the restoration type suppliers like the one in the above link. It appears that they offer complete "Correct" hardware kits in various forms. Tired of endless searching for the correct fasteners? Growing weary of buffing, sanding and painting rusty old fasteners? Put an end to all of that with this set from Totally Stainless. Set contains individually packaged and labeled components to eliminate any guesswork in assembling your classic. This original style indented hex head body set comes with Black Stainless where appropriate to retain a factory original appearance while giving you the rust free benefits of stainless steel." Edited 2 time(s). Last edit at 05/20/2016 02:40PM by Caraholic4life. You will need fender washers for the pickup! And some fender welting. Buying by the box of 100 is usually cheaper than buying ~30 loose. I always check the quantity pricing before I purchase small quantities. That's how I have a lifetime supply of Viton O-rings, every size used on a Corvair. Gotta have something up there in the Twins. FWIW, Fasteners Inc., even in the small town I live in, has 'em. Their books list them as "Washer Head" bolts, not flange bolts.